Naranji Hand Cleaner is a scrubbing and sanitizing hand cleaner for use in harsh industrial and commercial environments. 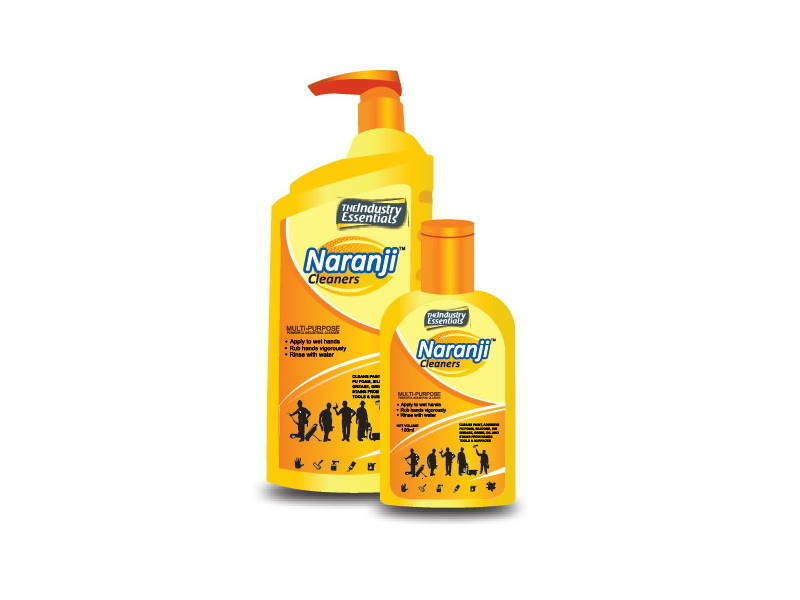 Naranji Hand Cleaner is highly effective and will tackle just about any dirt or stain as compared to traditional methods of cleaning like cleaning with solvents or messy ineffective liquid soap cleaners. Apart from replacing carcinogenic and in-effective solvents that are harsh on your hands and health, it shall bring down the cost of cleaning and improve hygiene in your company. What is Naranji Cleaner ? Naranji is a multi purpose industrial hand cleaner, scrubbing and sanitizing hand cleaner for use in harsh industrial and commercial environments where there is a need of instant and effective cleaning. Naranji multi purpose industrial hand cleaner contains natural pumice and powerful citrus-scented cleaning formula that is abrasive enough to scrub off the toughest ingrained grease and grime. 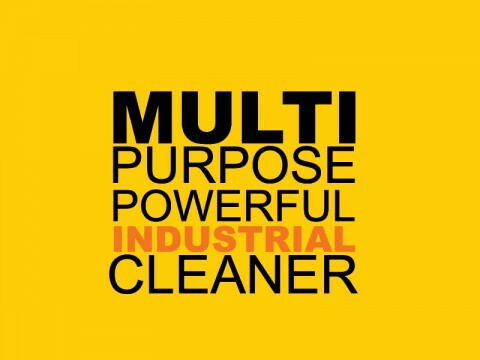 Naranji multi purpose industrial hand cleaner, can clean, vast range of substances from hands, tools and work areas. 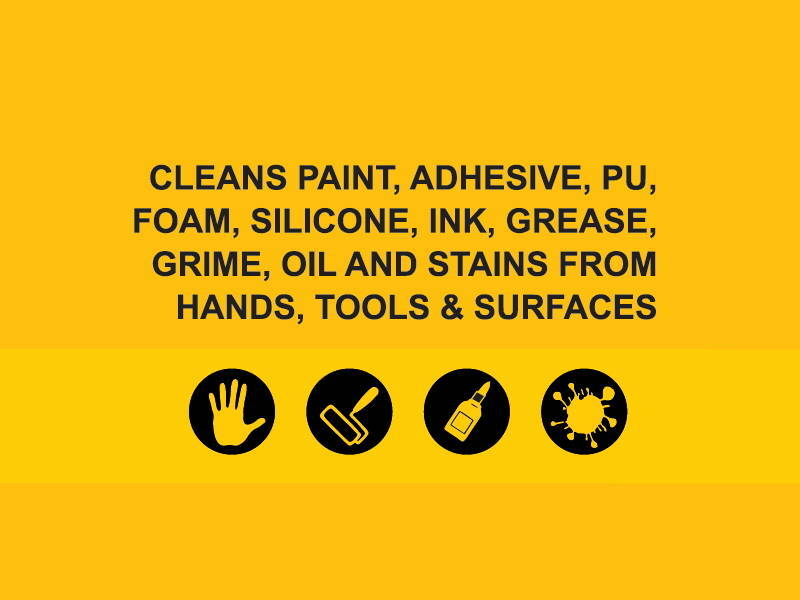 Solvent Based Paints, NC Paints, Industrial Paints, PU, Silicones & Acrylic Sealants, Inks, Water Based Paints, Epoxies and Grouts, Grease and Grimes, Stubborn Stains and Industrial Residues, Dirt and Oil etc. 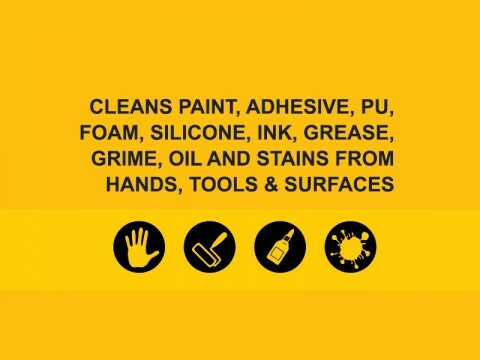 It also Cleans Paint, Adhesive, Pu, Foam, Silicone, Ink, Grease, Grime, Oil And Stains From Hands, Tools & Surfaces. The Industry Essentials is a product range that enhances safety, cares and gives joy to the team members working in the manufacturing sector. The focus is to offer innovative products that are economical and path breaking in providing safe and healthy alternatives to the current consumables for workers. No need to clean hands with Carcinogenic Solvents, Messy and ineffective Soap Cleaners. No need of Cleaning Cloth, Vaseline for cracked hands. Naranji multi purpose industrial hand cleaner leaves your hands hygienic with anti bacterial action, fragrant, soft and free from contaminants. It is time you show your workers that you care! 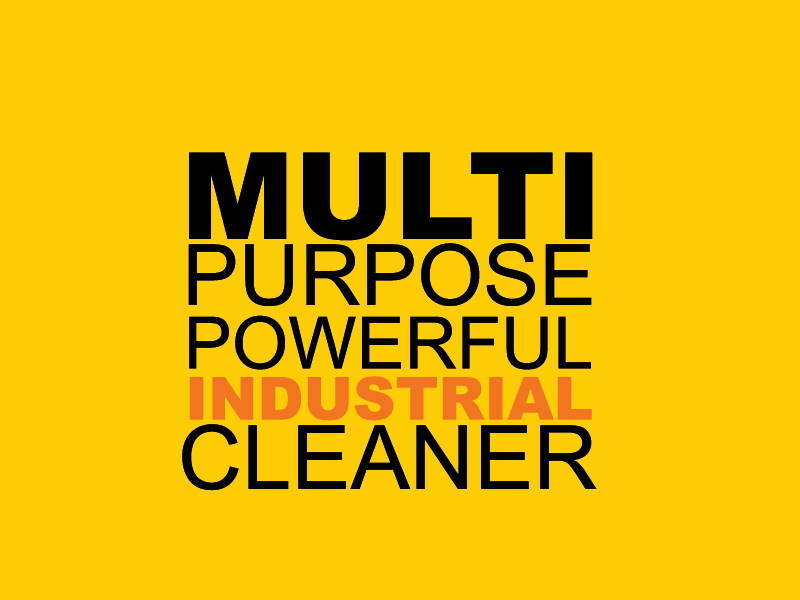 Naranji multi purpose industrial hand cleaner is highly effective and will tackle just about any dirt or stain as compared to traditional methods of cleaning like cleaning with solvents or messy ineffective liquid soap cleaners. Apart from replacing carcinogenic and in-effective solvents that are harsh on your hands and health, it shall bring down the cost of cleaning and improve hygiene in your company. No need to keep cleaning cloth, cleaning solvents, liquid soaps, moisturizing vaseline or creams for cracked and dry hands. 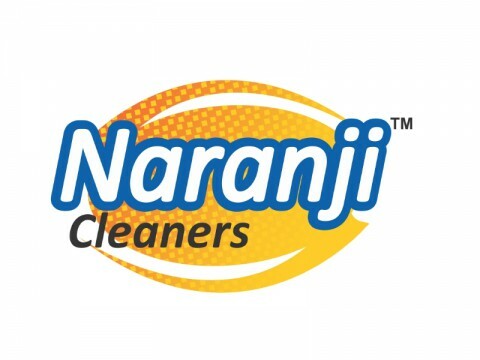 Naranji Hand Cleaner is a complete cleaning system. Naranji multi purpose industrial hand cleaner leaves your hands hygienic with anti bacterial action, fragrant, soft and free from contaminants. It is time you show your workers that you care. The product does not have to be labelled due to the calculation procedure of the “General Classification guideline for preparations of the EU” in the latest valid version. Additional information: The product does not contain any organic halogen compounds (AOX), nitrates, heavy metal compounds. Quick and easy-to-use, this unique formulation eliminates prolonged rinsing and leaves no residue behind. Naranji Hand Cleaner has a unique formula that was invented for automotive and paint industry and it cleans the most stubborn stains and residues, hence it is an essential product for machining, garages, engineering units, automotive workshops, paint application and manufacturing, mines and maintenance, transportation, petrochemicals and construction industries. In case of eye contact, immediately flush eyes thoroughly with water and if condition persists contact a doctor immediately. For hand/external use only.